TECNO Mobile has once again launched another mid-range smartphone dubbed Camon i4 with triple rear cameras. 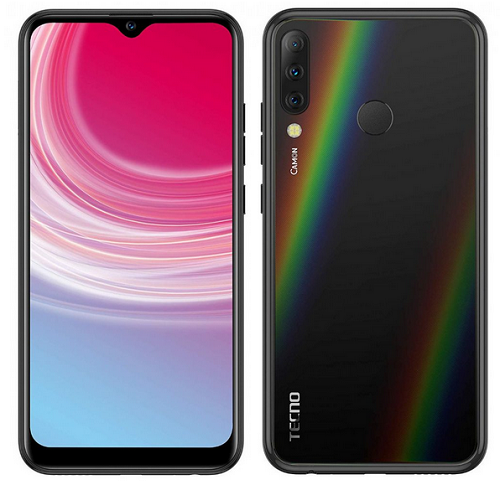 TECNO Camon i4 features a 6.2-inch HD+ Dot Notch 19.5:9 aspect ratio display with 88.6% screen-to-body ratio, triple rear camera of 13MP + 2MP +8MP 120° ultra-wide sensor. 16MP AI selfie camera with 6-level AI beauty mode that scans up to 228 facial points for giving more real selfies, comes with anti-oil fingerprint sensor and has AI Face Unlock. The TECNO CAMON i4 smartphone is powered by the MediaTek Helio A22 SoC clocked for the 2GB/ 3GB RAM version and MediaTek Helio P22 SoC for the 4GB RAM version and 32GB / 64GB storage. It runs Android 9.0 pie out of the box based on Hios 4.6, housed by a 3500mAh battery capacity with rocket charge fast charging that offers 2 hours calling from just 10 minutes of charge. We all know where to get those wining phones, but not without paying the price. This is another beauty in the mid range category. By Now we should be used to the fact that 3500mah is not leaving us soon. Tecno trying to get better.